The Bahrain Grand Prix is Formula 1’s only visit to a proper desert circuit. The drivers and teams take on the great challenge of racing on one of the dirtiest/sandiest surfaces of the year and have to cope with some pretty high winds which affect the cars set up. The International Grand Prix circuit is located just a stones throw away from the west coast of Bahrain, a tiny island in the Persian Gulf. The country is so small that the international airport in nearby Saudi Arabia actually covers more land. Bahrain is joined to Saudi Arabia by a bridge that stretches 25 kilometres over the water, and new bridge is currently under construction that will double the length and will link Bahrain to Qatar. For almost 200 years Bahrain was a protectorate of the UK but gained full independence in 1971, and officially became a ‘Kingdom’ in 2002. It was the first country in the whole region to discover oil, and the country did very well during a resources boom in the late eighties. To this day it has the fastest growing economy in the Arab world. The Government of Bahrain is aware the fortune it has amassed through oil is not going to last forever and has started attracting tourism and technological investment to strengthen the economy. 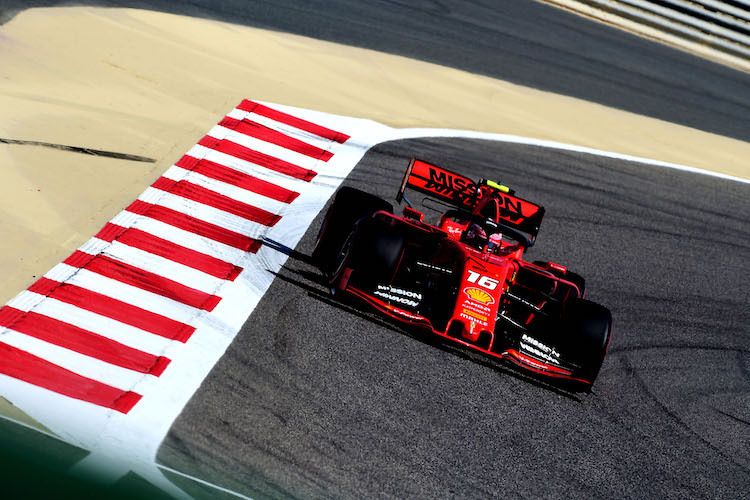 A Grand Prix offered them the chance to do exactly that, and the country defeated a number of others to host the first F1 race in the Middle East. They handed over a massive amount of money to Formula One Management and spent 150 million dollars on the track designed by Herman Tilke. The results were very impressive and the circuit is one of two locations known as an ‘FIA Centre of Excellence’, the other being Paul Ricard. Although construction started in 2002 the facility was not fully ready when the circus arrived in 2004. The race still ploughed ahead although paint was still wet on some of the buildings. A spray-on adhesive was pioneered for the surroundings that prevented sand from getting onto the circuit. The circuit is fairly fast and is incredibly hard on brakes as there are many tight corners that follow high speed sections. This makes overtaking very possible, especially into turn one which is one the tightest first corners of them all from the highest speed. The track has a few quick bends but is generally stop-start. The run off areas at Sakhir are very wide meaning driving mistakes are not punished by contact with the barriers. However, this often allows from some fierce racing as the drivers know they can run wide if they need to. Although concerns about sand have never materialised the track is always dusty, especially off line. Fans can view much of the circuit from the main grandstands. Of the five races held in Bahrain, Ferrari and Renault have won them all. However, cars that are quick at Sakhir are not necessarily quick elsewhere which adds a little intrigue to the Grand Prix. For example, Ferrari was very fast in 2005 and 2006 but struggled poorly in the races that followed. Toyota locked out the front row in 2009 but quailed last and second last at the very next race. The pitlane in Bahrain is very long which makes the time spent in the pits quite high. As a result of this a one-stop strategy is possible and Raikkonen did exactly that in 2006 to move from last third. 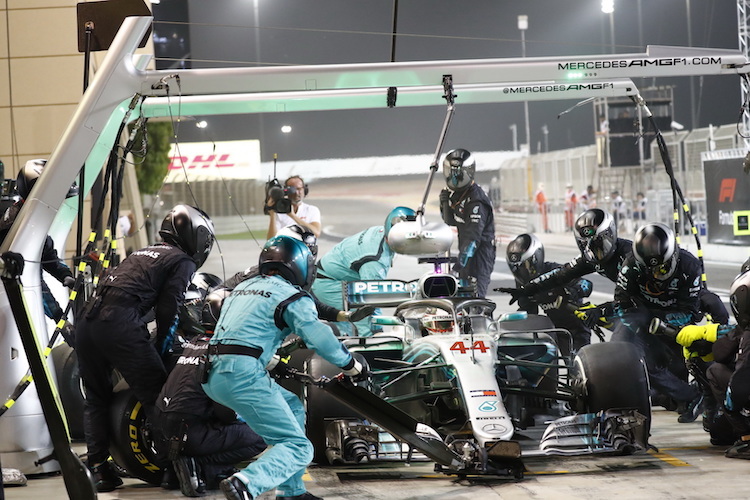 Drivers and machinery are often not settled in Bahrain as it is part of the flyway start to the season, and the racing is always quite good. This is helped because some of the corners allow the drivers to be a little more adventurous than usual. The circuit is very dusty offline which makes it very easy to lose time from a tiny mistake. 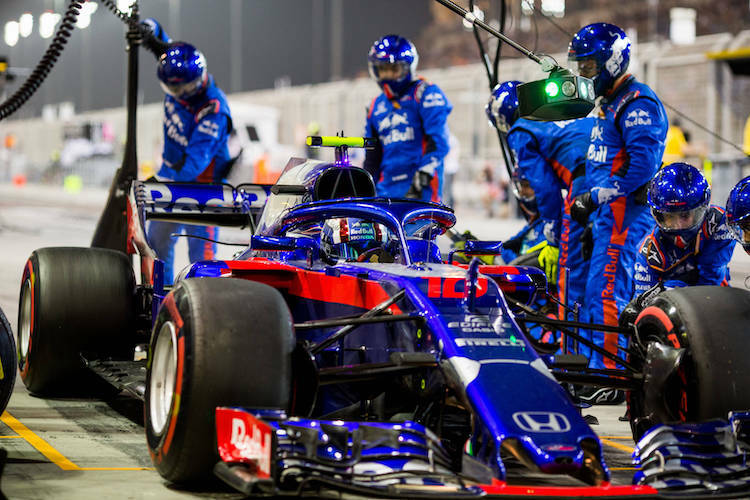 Brakes also take a massive punishment meaning the driver who can look after his pads best will have a significant advantage at the end of the race. Few of the corners are challenging but turn 10, which leads onto the back straight, has a kink right before where driver can adopt several different lines. Some of them, such as Jarno Trulli, are able to use this to their advantage and make it an overtaking opportunity. Why Watch the Bahrain Grand Prix? The racing in Bahrain is always exciting and the order is often mixed up a little. The Grand Prix can also come alive at the end if it is a close race due to excessive brake wear. The first corner is possibly the most exciting in F1 because it is a tight hairpin where the cars arrive at almost top speed. Like the sound of this race? Hi! I am visiting Bahrain this year and was planning to watch the GP while I’m there. I’m trying to purchase tickets online and found that the best prices are direct from the Bahrain International Circuit (BIC) website. Is it safe to purchase form there or should I just play it safe and buy directly from the F1 website? Hi Andre. Yes there’s no reason why you can’t use the actual Bahrain circuit website to purchase your tickets. We feature the other suppliers of official tickets to increase your chances of being able to reserve tickets for whatever grandstand you choose as often the circuit’s website will sell out first. Enjoy the first Bahrain night race!